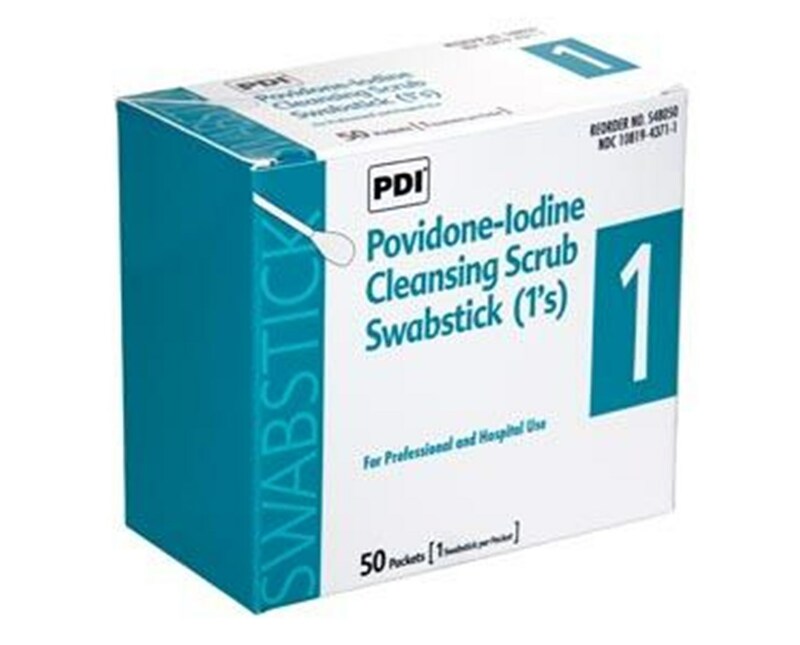 PDI Povidone-Iodine Scrub Swabs scrub away dead skin, dirt, and oil so prep pads and swabsticks can be more effective. 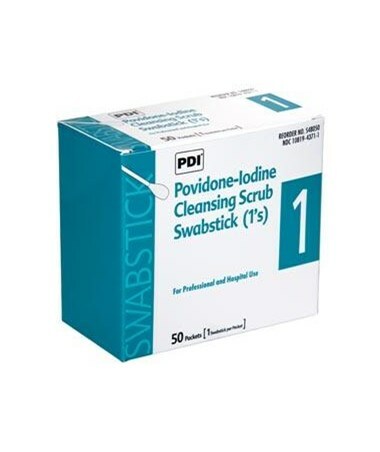 The iodine solution provides longer germicidal activity than ordinary iodine solution and is nonirritating and virtually non-stinging for better patient comfort. They're perfect for venipuncture, I.V. starts, kidney dialysis, pre-op prep, and other minor invasive procedures. 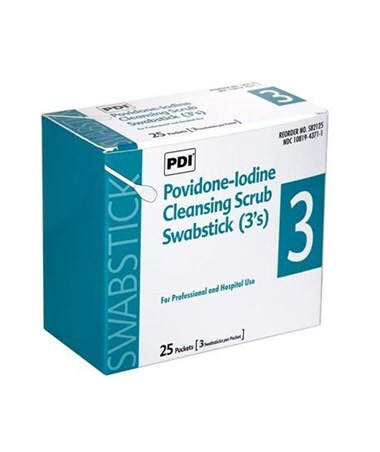 The swabsticks are saturated with a 7.5% povidone-iodine scrub solution with detergents equivalent to 0.75% available iodine. 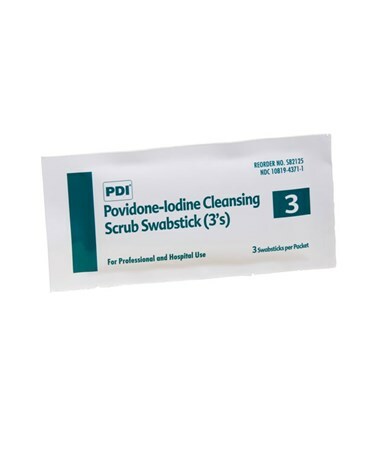 We offer PDI's Povidone-Iodine Scrub Swabsticks in 1-pack or 3-pack configurations, sold by the box or the case. Select from the drop down menu above and order online direct by clicking "add to cart!"